January being the first month of the new year always make me feel energized to make traction in my intentions and goals in all aspects of my life. As such, I’ve decided that I really want to make progress + improvement on my personal finances this year. There’s no time like the present after all. Read on to see my personal finance intentions for the first quarter of 2019. 1 | Do My Taxes! Like many of us, I have the habit of waiting until the last minute to do my taxes each year and I really need to set aside some time over the next week or two to complete my taxes so it’s out of the way and can be crossed off of my to-do list. I’ve tried apps and spreadsheets, but I really think I need to go old school and write things down. I think I’ll dedicate a notebook for this purpose. 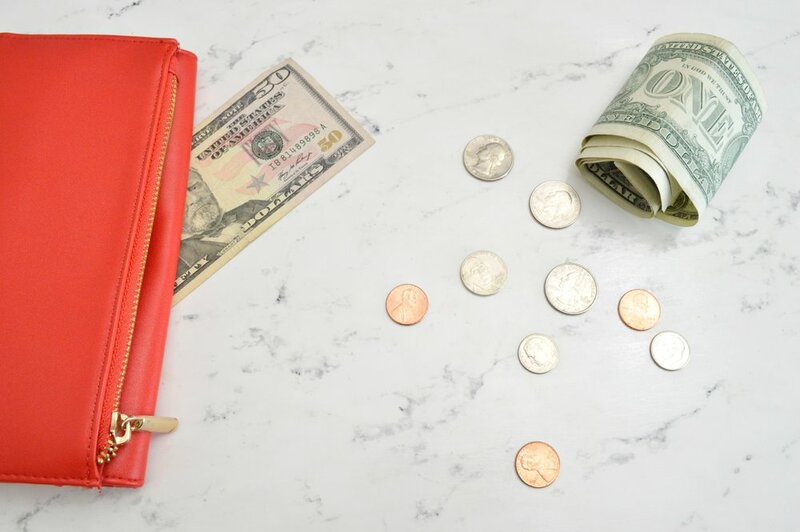 I plan to set aside time a regular basis on weekends to monitor my budget and evaluate how I’m doing on my spending on nonessentials versus my savings is a good practice. I don’t work for the Federal Government but I do have government clients in my current day job and this government shutdown has really reminded me how tenuous any job can be and how important it is to not only have back up savings but also have some alternate streams of income you can dial up if something like a furlough or layoff happens if you work for an employer (rather than being self-employed). We all have marketable skills that we can use to create side hustles. So I need to actually spend time and energy into freelancing skills I already possess and marketing myself to prospective clients. I also want to set up a DBA for my business and seprate banking accounts as well. I’ve been making very minor incremental progress on my student loan repayment that I really want to dial up because I don’t want to be 40 years old and still have student loan debt! I don’t regret my college education at all but it is a bummer to still be paying off debt for an education years into my career. In order to save for emergencies, fun stuff like vacations and think about how I envision my future life, savings will only become more important. I’m really good at saving for short term goals (like my next international trip), but it becomes trickier to motivate myself to save for goals like my emergency fund and general savings for non-emergencies. It’s time to commit to saving more. It’s so silly that when I want to tally how much I have in retirement savings that I have to go to several separate websites and would be an actual nightmare decades from now when I need to start drawing from these funds and have to hunt them down separately. So I really need to consolidate my old retirement accounts from previous jobs. At some point I’ll set a Financial Advisor and figure out what else I should be doing to save for retirement and invest in other financial vehicles in general, but I want to manage this task as a small first step before March. What are your personal finance intentions for this quarter?